Don’t be shocked. 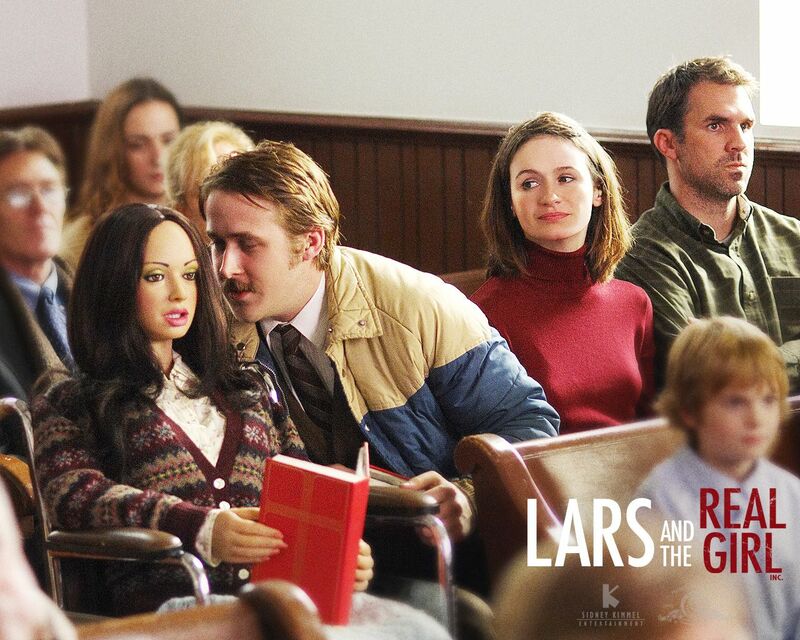 Lars is a comfort film. Cradled in pink hues in a plaid flannel town. Blue collars breathe cold air in a tight-knit community. Society decreased to three spaces in which you shop, work, and worship. Lars is the boy, the brother, the friend. He’s quiet. Comely. 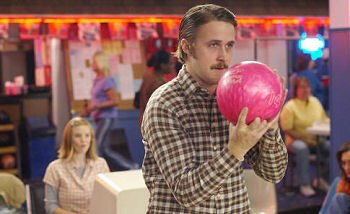 He is Ryan Gosling, pre-6-pack. Shock-value lifts and lowers in waves as the “real girl” surfaces. But, it’s not what you think. Some of my favorite people are in this film: Patricia Clarkson, Paul Schneider, Emily Mortimer. The script and score lock-step. Comedy reigns. But beyond the realm of filmology, it’s the felt that makes this film – the true and basic element of love from an entire community, love for a boy who grieves and lives a quiet life. They sit, they sing, they pray, they accept, they hope, they grieve, they love. Perhaps all it takes is a casserole to heal a heart. Perhaps that’s real love. I need to watch this again. It looks so strange from the outset but it really is a compelling film. It’s still taking me a while to get used to Six-Pack Ryan Gosling, since I think of him as characters like this most of the time.